This is a daily car and foot passengers ferry service from Split to Vela Luka – a town on the west coast of Island of Korcula, 50 km away from Korcula Town. 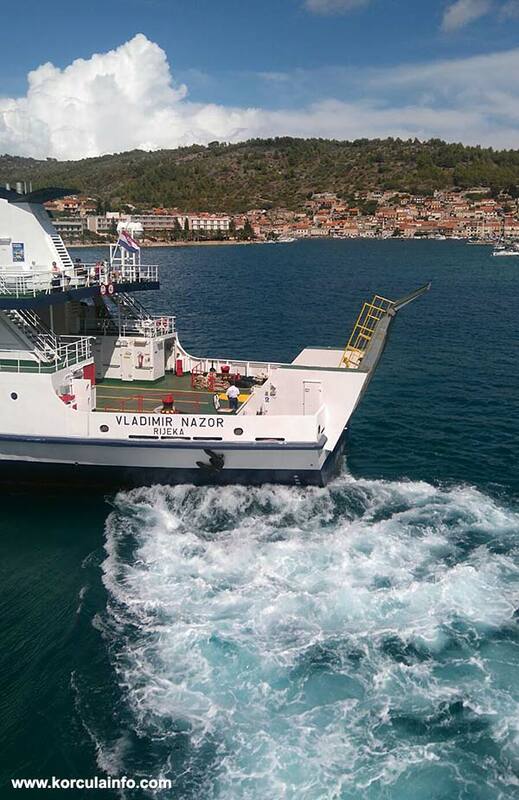 There ferry proceeds to Ubli, Lastovo. There is regular and reliable bus service that connects this ferry with Korcula Town and all villages on the way there. This is a very good option if the weather is severe so no other ferries are operating. Also, good for crossing by car from Split to Korcula Island. This ferry sails all year around.